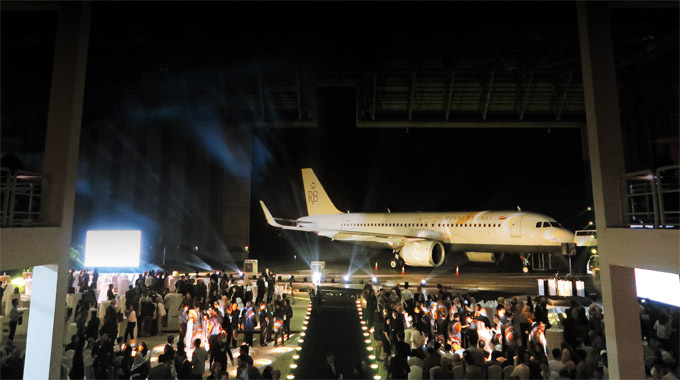 Royal Brunei Airlines marked another milestone on 22 September, 2018 as it officially launched RB’s A320NEO fleet with a special livery aircraft depicting Brunei’s iconic landmarks at Hangar 3, Brunei International Airport. Present as the Guest of Honour and to officiate the launch of RB’s A320NEO fleet was Yang Berhormat Dato Seri Setia Awang Hj Ali Bin Hj Apong, Minister of Primary Resources and Tourism. Also present were Yang Berhormat Dato Seri Setia Dr Awang Hj Mohd Amin Liew Bin Abdullah, Minister of Finance & Economy II and Chairman of RB Board of Directors; Yang Berhormat Dato Seri Setia Awang Abdul Mutalib Bin Pehin Orang Kaya Seri Setia Dato Paduka Haji Mohammad Yusof, Minister of Communications; Mr Karam Chand, RB Chief Executive Officer and Mr Jean Francois Laval, Airbus Executive Vice President Asia. 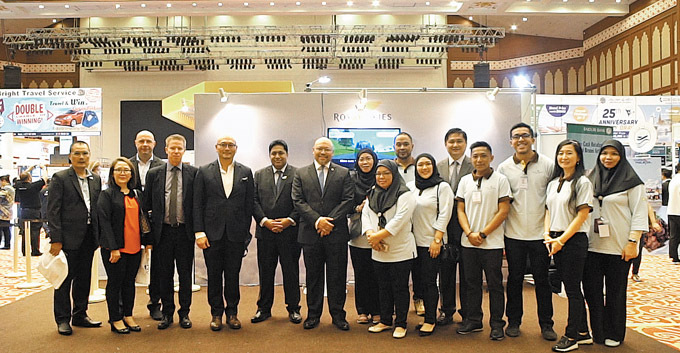 Royal Brunei Airlines participated in the annual two-day Sabre Brunei Travel Fair 2018 held at the Plenary Hall, Brunei International Convention Centre. RB has been one of the biggest supporters of the fair and this year’s highlights were attractive fares for non-stop London and new destinations: Taipei and Tokyo. Daily lucky draws and fun activities were also held for guests who bought tickets at the fair. In March this year, RB announced the 2018 induction of Captain Sharifah Czarena Suriany Syed Hashim into the International Forest of Friendship (IFOF) for her being the first female captain on any flag carrier in Southeast Asia. On 22 September, 2018 Captain Czarena attended the induction ceremony in Atchison, Kansas, USA where the “Butterfly Magnolia”, a close relative to Brunei’s national flower, the Bunga Simpur, was planted in her honour. 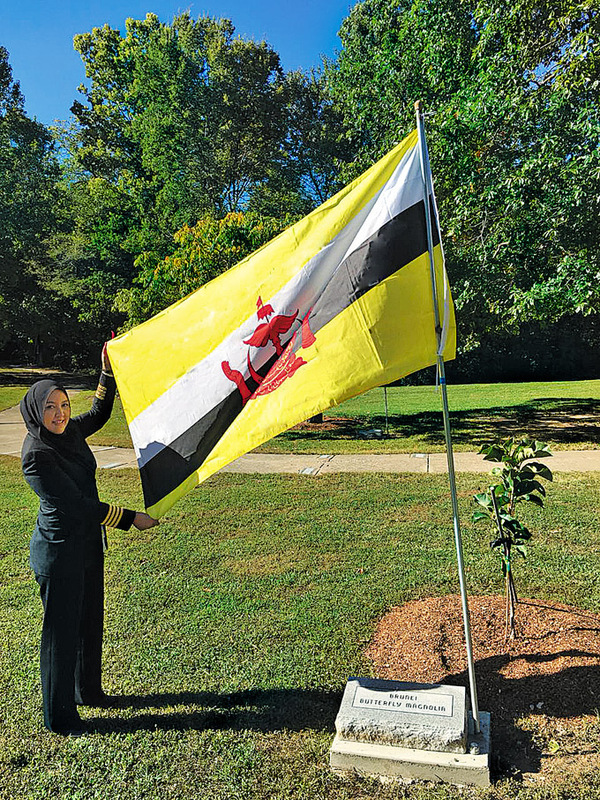 Captain Czarena also handed over a Brunei Darussalam flag to the organiser that was then paraded as part of the ceremony and later placed beside the tree. IFOF honours the women and men who have given dedicated service, leadership, friendship and support to help others achieve aviation goals and those who have made significant contributions to the development of aviation and established aviation records. 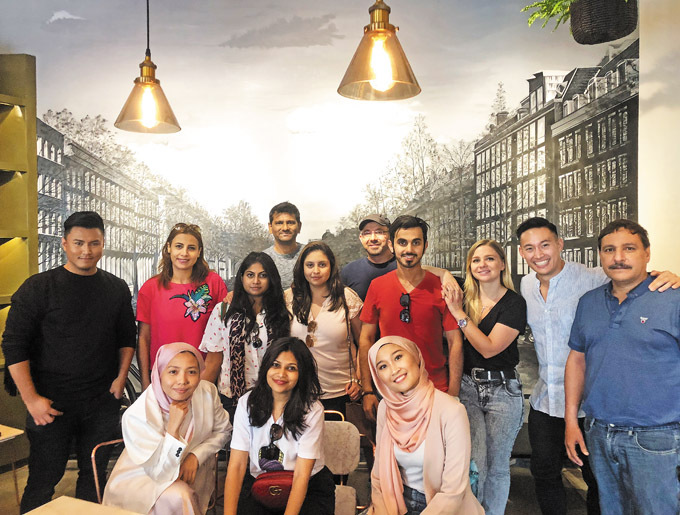 RB hosted a visit from a group of journalists and social media influencers from Dubai to experience a Brunei getaway from 15 to 17 September, 2018. The visit was also supported by Alter Ego Fusion Restaurant who hosted lunch for the journalists together with some local social media influencers. Alter Ego, the latest Royal Skies partner, is located in Kiulap and offers a variety of modern cuisine with an Asian twist. Royal Skies members can earn 2 Royal Skies miles for every dollar spent at Alter Ego. A total of eight medals – two gold, two silver and four bronze – were obtained by Team RB at the Sukan Kebangsaan Brunei Darussalam 2018. Team RB was placed ninth in the medal tally out of 12 teams. An appreciation dinner was held to congratulate and appreciate Team RB contingent for SKBD 2018. In attendance during the event was Captain Saiful Bahrin Awang Bahar in his capacity as Chef De Mission for Team RB.